Ladies and gentlemen, this is my mom’s macaroni salad. 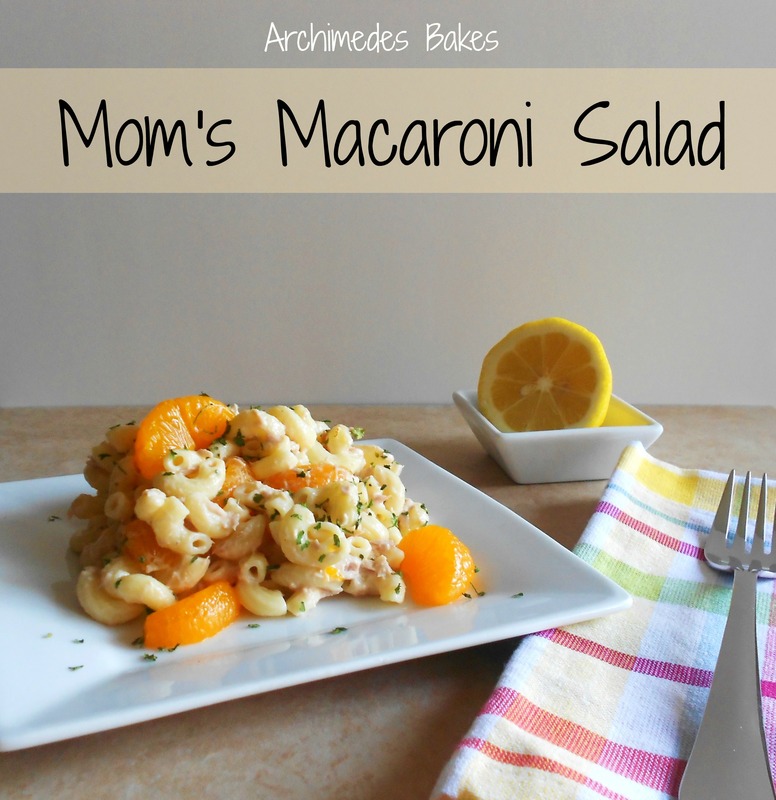 If you know my mom Judy, then you have probably had a bowl or two of this insanely good macaroni salad! We ate this at least once a week, growing up, and I have yet to get tired of it. In fact, I love it more than ever! I crave it. I daydream about it. What can I say, I’m obsessed with it! It goes great with hamburgers and hot dogs, grilled chicken or steak or straight from the bowl! It may seem like a strange combination of flavors but let me tell you, it works! 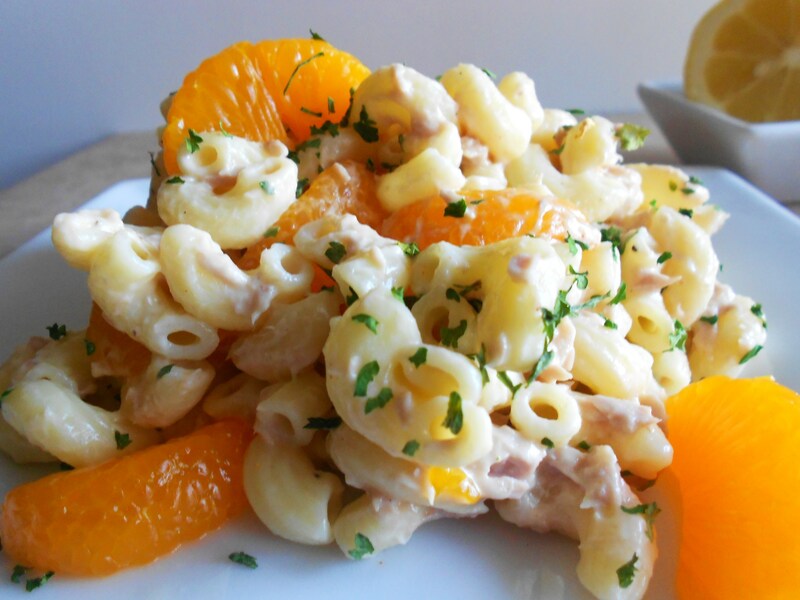 The lemon juice and the mandarin oranges give this salad a wonderful, bright citrus punch! So good!! Cook the elbow macaroni as directed on the box. Open the cans of tuna fish and drain them thoroughly. In a medium mixing bowl, combine the mayonnaise, tuna fish, lemon juice, paprika, parsley, slat and pepper. Pour the pasta into a large mixing bowl. Mix in the tuna and mayo mixture. Toss to coat evenly. Top with a bit more parsley and paprika, if you like.